Horse meat called sfilacci is very popular in Italy, especially in Veneto region. Sfilacci are shredded thin strips of horse meat used for preparing different kinds of dishes like cold salads, pasta and appetizers. It can be eaten on its own with a few drops of lemon juice and olive oil. The most prepared combinations are sfilacci with gorgonzola, sfilacci with cherry tomatoes and sfilacci with cooking cream. 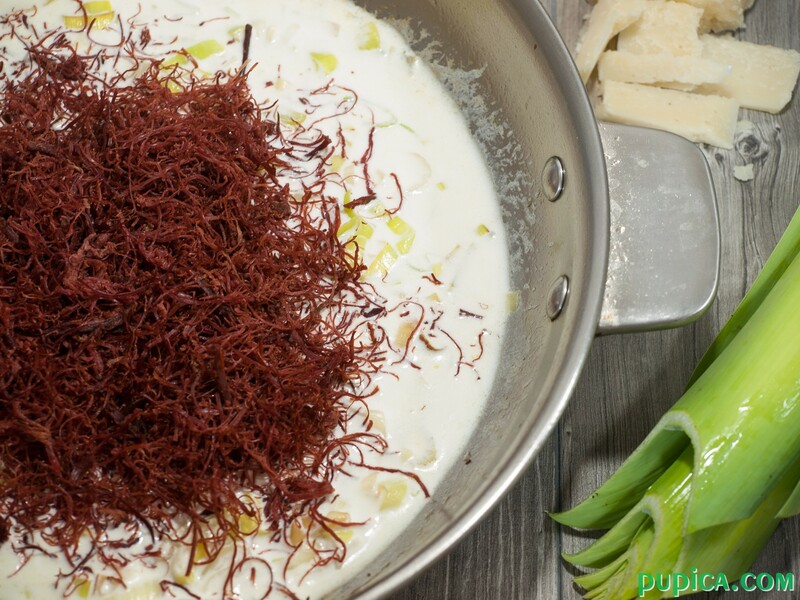 Today I prepared sfilacci with leeks and cooking cream, which is really a super tasty meal. Preparing dishes with sfilacci is very easy because they don’t require cooking, so you can just top your dish with them or if you prepare risotto or pasta with it, you won’t need more than 5 minutes to make the sauce. 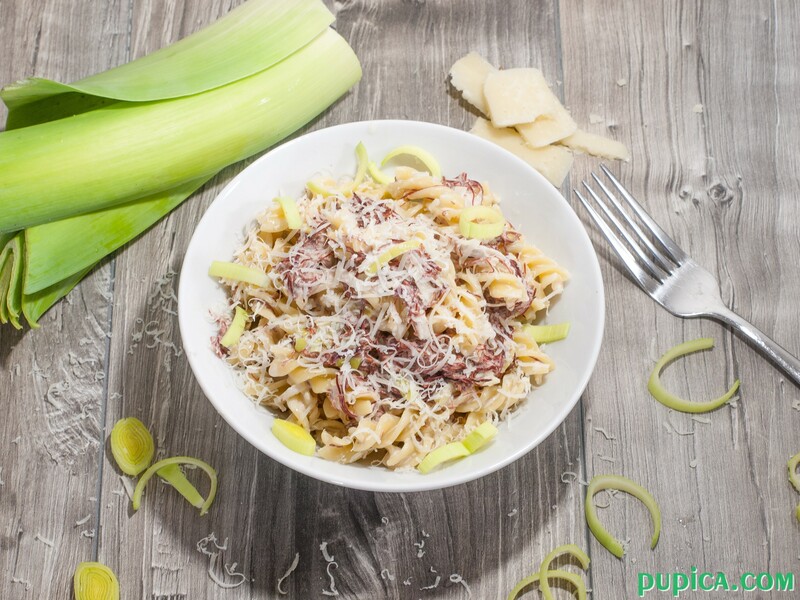 I usually use onions for preparing this recipe, but today I decided to use leeks that have mild onion-like taste and they pair perfectly with cooking cream and sfilacci. You can also add blue cheese like gorgonzola to this recipe to make it ever more tasty. When I use cooking cream for pasta recipes I usually add lots of grated Parmesan cheese instead fo salt. 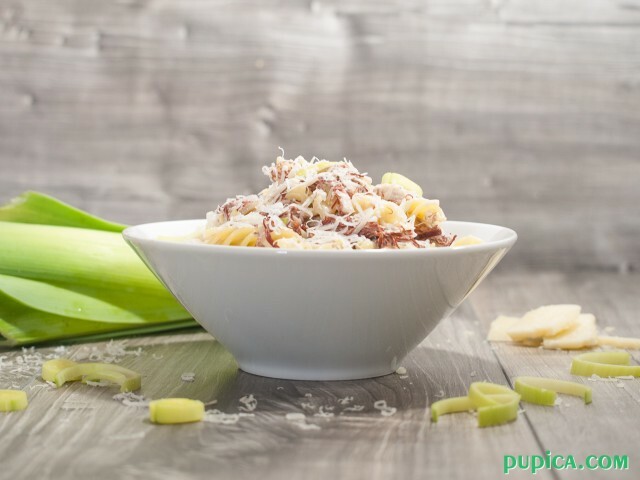 Parmesan cheese and cooking cream are a really great combination and sometimes when I’m in a hurry, other than eating “pasta in bianco” as they call here pasta seasoned just with olive oil and Parmesan cheese, in 10 minutes I prepare a tasty pasta with just two ingredients. As I said before pasta with sfilacci is a traditional Venetian dish and for example, in my country, you cannot find sfilacci anywhere, even horse meat is almost impossible to find… So I have a question for my readers, can you tell me if sfilacci can be found in your country? 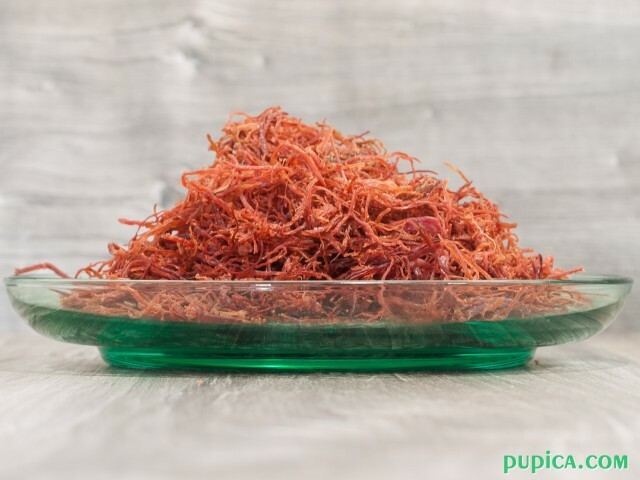 Well, if you cannot find sfilacci anywhere, you can use thin slices of dried beef, it will be tasty as well. 1Bring a large pot of salted water to a boil and cook the pasta as indicated on the package. 2Meanwhile, rinse the leeks, remove the dark leaf end and the root end. 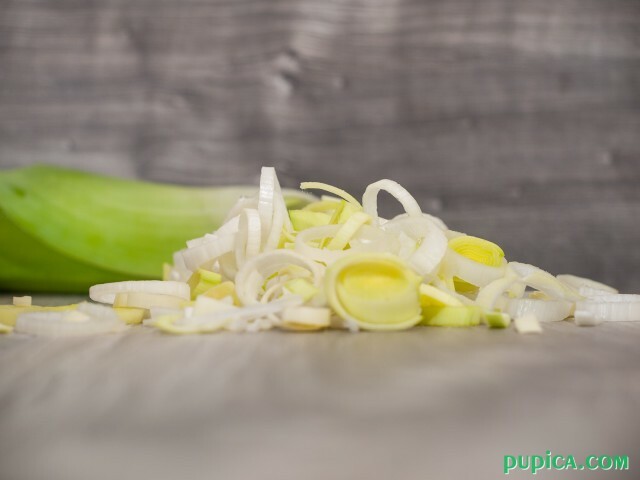 Slice the leeks into rings. 3Warm the oil in a skillet and add sliced leeks. Cook for 3 minutes. 4Add sfilacci and cook for 5 minutes over medium heat. 5Add cooking cream and mix well. 6Drain the pasta and add it to the skillet. Add grated Parmesan cheese and toss well to coat.